Super pretty! I wish I could do galaxy nails. This looks fabulous! 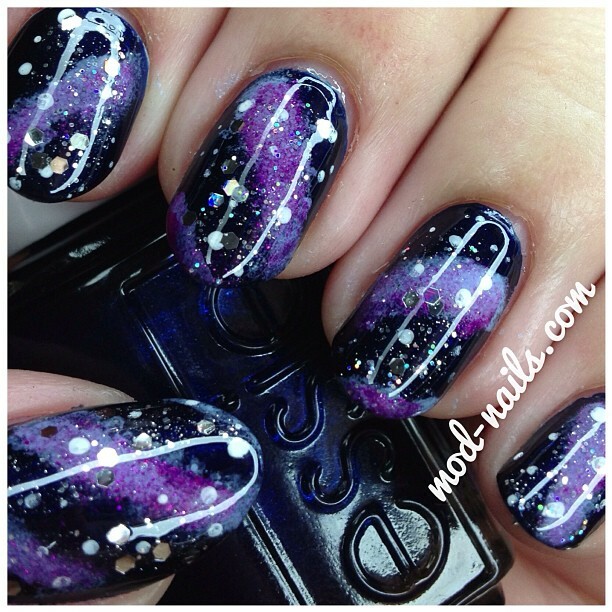 I like the colours you chose and the striated look and glitter is always yummy over galaxies.